Progressing on my efforts for DoW’s vision on economic BUT effective traveling in Himalayas, this time I will write down and share below everything I have learned about booking a room or set at PWD Rest Houses and Circuit Houses in Himachal Pradesh as well as Forest Rest Houses (FRH) in Himachal Pradesh To be very frank, these PWD Rest Houses or FRH, are located at very sublime locations with some great views on offer. These PWD Rest Houses are built to provide convenience to the GOVT. officials traveling for work purpose mostly and can get benefit even for their vacations. However, in Himachal Pradesh, even a private individual is allowed to take a booking for PWD Rest House or Circuit house or any FRH, if there is any availability. The individual can be Himachali or non-Himachali or even foreigner but Himachal natives have to pay less as compared to non-Himachalis including domestic as well as foreign tourists. Find below the links to download the list of these PWD Rest Houses in Himachal Pradesh, list of FRH in Himachal Pradesh and their updated charges as per the year 2011. These PWD Rest Houses or Circuit Houses can be booked by getting in touch with the respective Booking office mentioned in the list above. You can either get in touch with them over phone or if you are traveling then you can directly go to the office and book there. After checking the availability, the PWD office will issue you back a parchi/slip which you will need to handover to the caretaker/chowkidaar at the rest house. Of course, being an independent individual (not PWD employee or Govt. employee), you will be given last priority. Getting the booking in PWD Rest Houses over phone is a bit tricky and time consuming at times, so make it about 10-15 days in time before you are going for the trip. If you try to make it early then most likely you will be requested or asked on the phone to come back before a week or so 🙂 … Also, worth noting is that fact that, the circuit houses in particular are not given the booking easily, so better not rely on them but if nothing is available then try your luck for asking about the availability. You can call up the respective booking office and try to confirm the availability from the concerned person. It is always better to note the name of the person so as to minimize communication gap in future and you talk to same person for future correspondences. Two things can happen, either he will tell you the availability and ask you to fax/email the booking request on the email ID or Fax Number OR he will not even tell the availability and ask you to send booking request over email/Fax only. In any case, you need to send the booking request over email/fax, so better confirm the fax number of the booking office from the person. After sending the request over fax or email, in a day or so, call the booking office again and ask if they has received your email or fax and what is the status. DO NOT forget to write your fax number where you want to receive in the letter and request letter shall be addressed to the executive engineer. Continue the follow-up based on the conversation until there is any result: Approval or Rejection So, it is always better to note the name of the person whom you first had the conversation about your booking, so as to minimize communication gap in every call. In case if the booking is available, then authorized person (mainly Executive Engineer) of booking office will approve or already have approved your booking and a slip/parchi will be issued for you. A copy of slip/parchi will be send to the caretaker/chowkidar of the respective Rest House, so that he knows about that you will be coming. Ideally, one copy of this slip/parchi should also be shared with you but you can ask it from the concerned person you are in talks with at the booking office. Either he will be happy to email/fax it back to you OR he will say not needed. You will be surprised but if there are so many positives for getting the booking for HP PWD Rest House or FRH, some caveats are also attached to it. I have tried to outline below some of the caveats along with some tips which you should be aware about before booking these rest houses. You shall not rely on food & service at these rest houses. So, it is always better to carry your own raw food like Maggie, eggs, precooked vegetables, breads etc. If some dhabha is available nearby, then no issues at all. With some tip, caretaker most likely will allow you to do self service and cook for yourself. It is quite a fun though and I like it this way only 🙂 … So, just consider it as good, comfortable, beautifully located option of stay or sleep only. Most of the local village get-togethers/parties does happen in these rest houses mainly, being the only available and value for money option. Also, being locals they do have priority for it. So, in case you do not have the slip and even if you have confirmed with caretaker, you might end up in a surprise. So, better to have that slip/parchi with you as much feasible as it can be. In case, there is some VIP or GOVT. Official arrives, you might end up loosing the booking. However, this rarely happens with confirmed bookings (with slips) because most of these rest houses, I stayed in Spiti Valley and Kinnaur Valley had rooms reserved for VIPs and are not offered to tourists/individual in any case. So, in case it is some remote guest house, chances of finding alternative at the last moment are very slim. Can I stay at PWD Rest House without bookings? Well, on the contrary, you can of course land up there directly (which I mostly do with my dynamic plans ;)) and talk to Chowkidar/Caretaker there who might allow you to check-in with some tip or even with slip. This will be the most economical way, a tip won’t cost you much. Sometimes, there is Executive Engineer who is in charge of that rest house present there and has authority to let you in. But, this is only true for night stay types or shorter stay. On a longer stay, you should go prepared with official bookings. Of course, if someone else lands up there with bookings (slips/parchi) or some VIP comes in, then you will have to vacate the room even in the middle of the night. Many times the caretaker/chowkidar will be reluctant too, to give you rooms because he will be afraid of doing work or providing you with food and all. The bigger the group, the bigger his fear of work 😉 … Key is to keep persuading until he agrees or otherwise move to other location. Having said all that, you can take a chance or risk BUT DO NOT rely on it completely as it might work and might not work too. I slept in car with my family once in Kinnaur relying on this funda but I did not have much daylight left to move around in search of others. HP PWD Rest Houses or Circuit Houses or FRH are great to stay with fantastic locations, good facilities and comfort considering the value for money etc. However, they do have a little risk associated with them and one must be prepared for Plan B too. The risk can be mitigated through bookings to quite an extent. Special thanks to all the courteous officials of PWD and locals in Spiti Valley who were more than happy to help providing this information and a reference thread on IndiaMike too linked here (indracal especially). 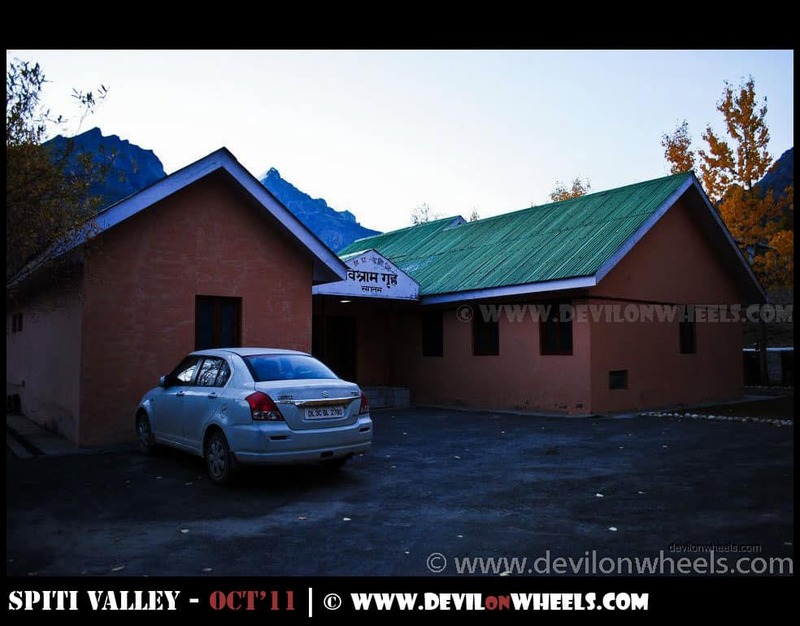 If you ever happened to be at some of the PWD Rest Houses or Circuit Houses or FRH and have any experience with them or pictures of them, please try and share with us here in the blog comments or in DoW – Himalayan Community & Forums thread linked here. I want to book pwd guest house/circuit house/forest rest house at manali during 03.11.18 to 07.08.18. How to book the said guest house. 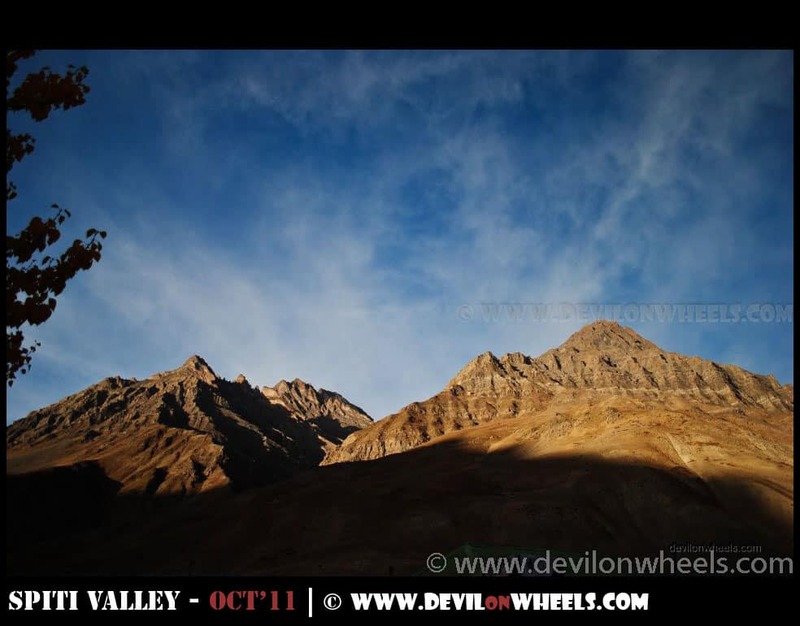 Hi , The phone number/s( 01906 – 222252 ) for PWD guest in Spiti seem to be invalid. Shall anyone provide the latest numbers. I am planning to book circuit house in Manali. Can you please share your experiences about it. Sorry Hemant, I have not stayed at Circuit House in Manali. However talking to people who have stayed, it is a decent stay that you expect from any govt. run facility. Chinmoy ji, yes, you can surely try to connect with numbers mentioned above and follow the process to book the HP PWD Rest Houses. Early you book, better it will be else you can also book on the spot as well. I am going to Chitkul on 28th of August. I tried calling on 01786 253 303. But it is no longer valid & I am not getting a response over email. Is there any other way in which I can contact? Or do you have a recent no. for the Chitkul Rest house? Sorry Shruti, I do not have any other number. Did you try calling Reckong Peo office? They can also approve the booking for Chitkul. Also, Chitkul has a decent number of private options including nice home stays and few basic guest houses at the economic budget. I’ll try the Reckong Peo Office. Can I get on spot rooms at Chitkul when I’m there? We are 6 people and require 3 rooms. Yes, less people stay at Chitkul and you should be able to find rooms on the spot as well unless you are not too particular about the stays. For stay options in Kinnaur and Spiti, check the link: Some Good Options of Stays in Spiti Valley / Kinnaur Valley. I tried the Reckong Peo Office on the no 01902-222227. But that no is now with J&K Bank. No luck there too. Now will have to look for room once I reach there. Thanks for the update Shruti, I am sure you will get something on the spot for sure without much hassle. Sorry Rajesh, I never stayed at Dharamshala Rest House. Hi, Dheeraj, what is the procedure to book a PWD Rest House Room. The procedure I know about is already documented in the article above. Try to follow the mentioned process and you may get lucky. Sree, you will need to book the PWD rest houses at these locations well in advance. Start getting connected with them as mentioned in the article above. How many days do you have in hand? In my previous mail I have inadvertently messaged my mobile no. due to which I am receiving so may calls from all around India for reserving PWD Guest House in Shimla., which is quite disturbing . So, If possible, please delete my mobile number from the site and oblige. I have removed your phone number from your previous comment. I am central govt. gazetted officer posted at Ordnance Factory ,Nagpur,Maharashtra which falls under Ministry of Defence,along with my family plan to visit Manali & Dharmashala in last week of December 2016.I want to book Govt. 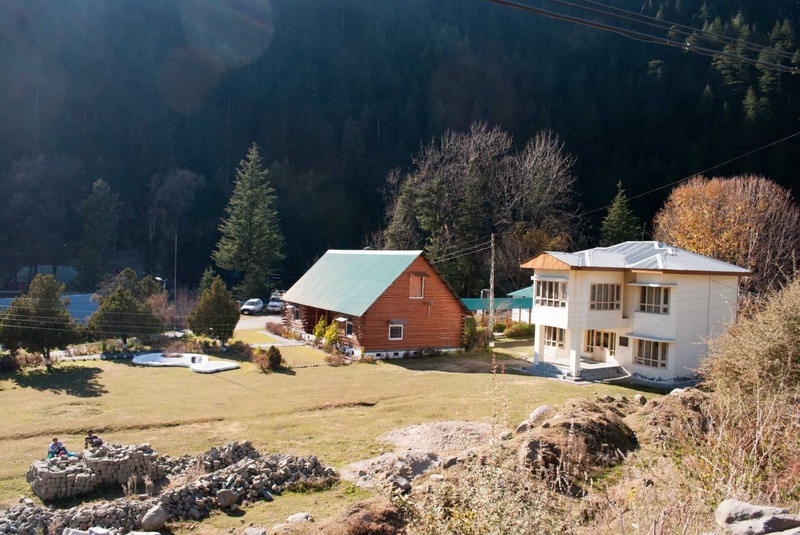 rest houses both at Manali & Dharmashala .is it possible to book them for me? Please guide. Yes, it is very much possible to book them at the Govt. official rates. However, the places you choose are very popular tourist spots in Himachal and hence, you know getting the booking will be difficult. You can try for sure as almost 2.5 months are there still. No Mitesh, there are no PWD guest houses open for public in Leh – Ladakh area AFAIK. Above all there are many economic guest houses and home stays in Ladakh so you do not need these guest houses.